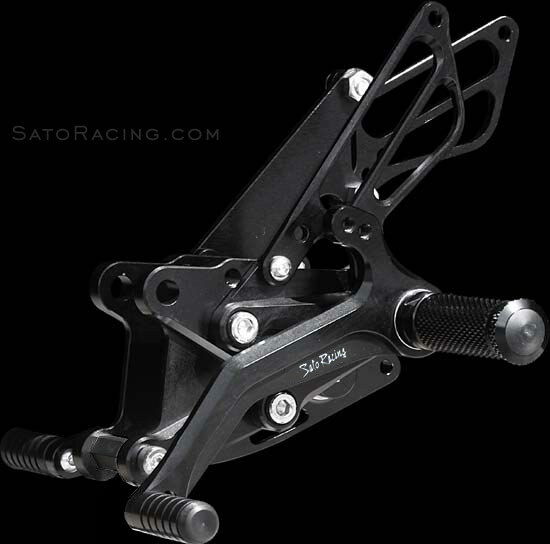 SATO RACING Rear Sets for 2006-07 Kawasaki ZX-10R are CNC-machined from high grade billet aluminum and anodized in your choice of Black, Silver, or Gold finish. 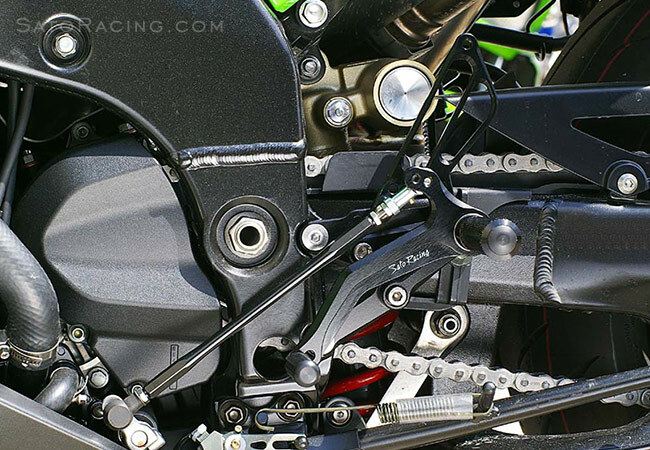 Modular step plate design lets you choose from 6 adjustable positions that can bring your feet up to 35mm higher compared to stock for a more aggressive riding position well-suited for the track. 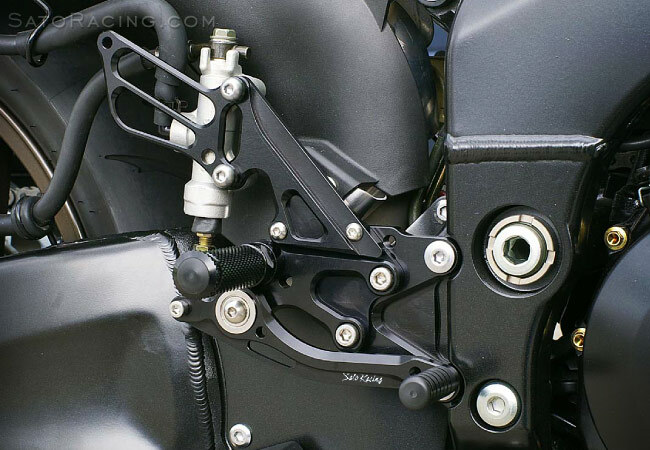 There is also a dedicated Reverse Shift version of the Rear Sets for riders who prefer reverse (GP-style) shifting pattern. 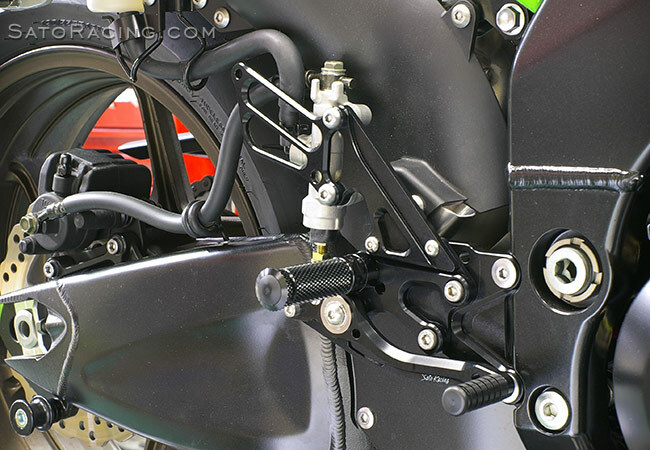 The mount positions for the Step Plate, the Foot Peg and the Pedal Tip are individually adjustable. 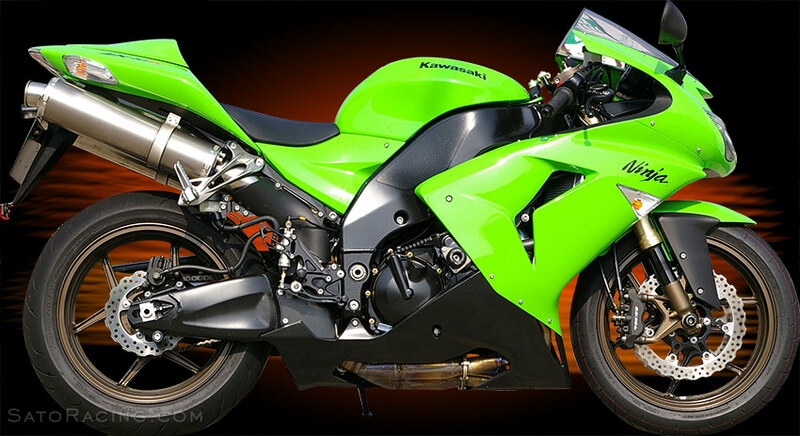 feel. 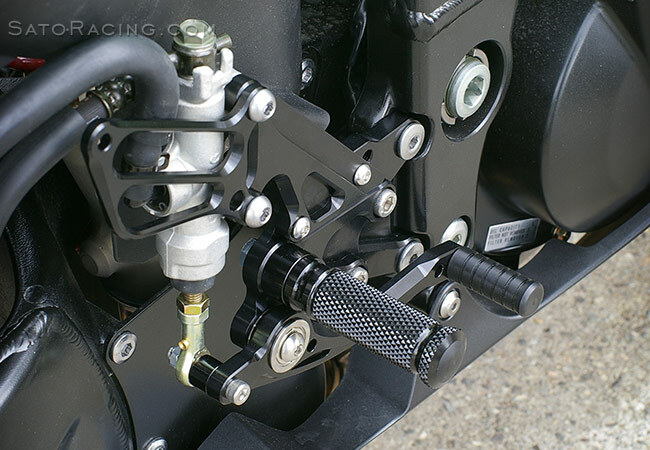 A hydraulic brake light switch (not shown in these photos) is included with this Rear Sets kit. 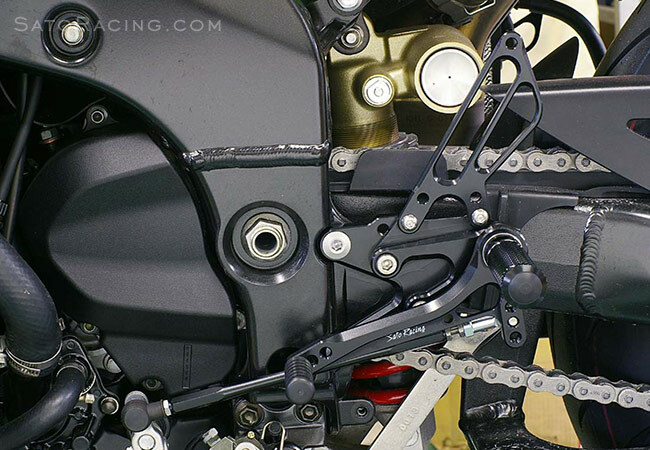 The clean, angular styling of our Rear Sets blends seamlessly with the lines of the bike. 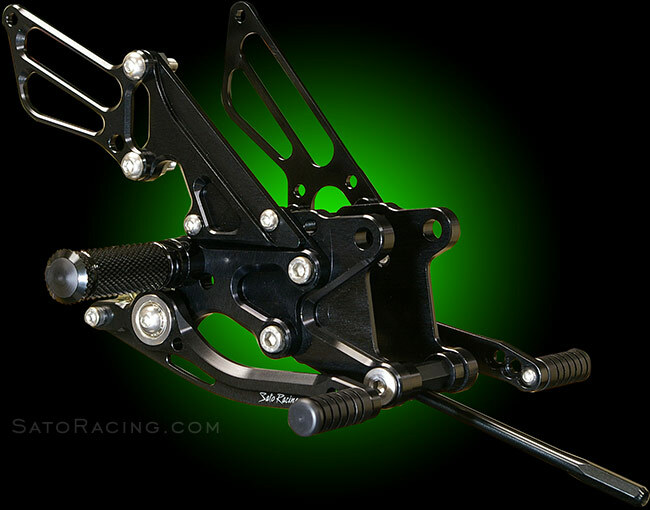 Reverse Shift Rear Sets have a GP-style shift pedal that provides a dedicated reverse shift pattern. 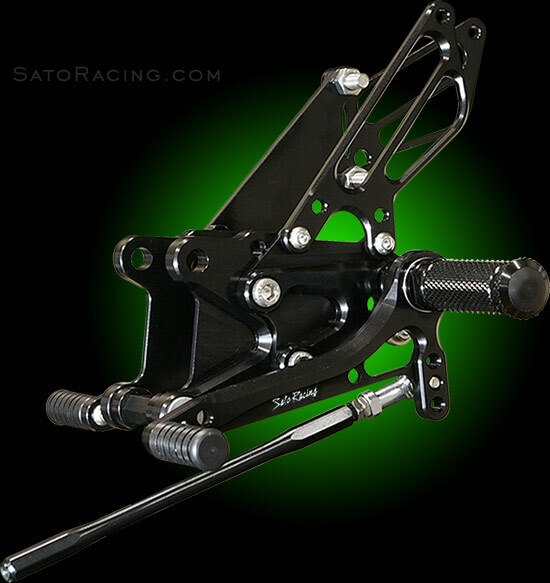 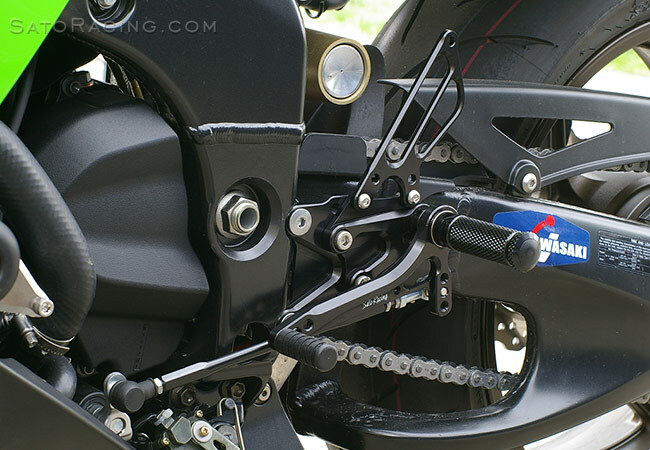 with your Sato Racing Rear Sets, or view the PDF: ZX10R | ZX10R Reverse Shift.